Every September and October, Hispanics across the United States celebrate, honor and remember their rich heritage, no matter which state they live in. Originally begun in 1968, National Hispanic week eventually grew to incorporate a 30-day period of time in which contributions and advancements created and instituted by Americans with Hispanic roots are celebrated. The month is a time when school children across the country receive an in-depth look at the culture and history of Mexico and South America, as well as early American settlers who hailed from Mexico. Traditions, foods, celebrations and profiles of famous Mexican-Americans are explored and honored. In cities around the United States with a heavy Hispanic population, huge festivities are often enjoyed by thousands of Americans, no matter what their ethnic or cultural backgrounds. Dances, parades, special events and gatherings are held throughout communities in order to reflect and remember the contributions of Hispanics throughout the history of the United States. National Hispanic Heritage Month is also a time when immigration and educational issues are addressed, as well as actions that assure that everyone who enters America legally be offered adequate resources for information regarding citizenship and all its benefits. 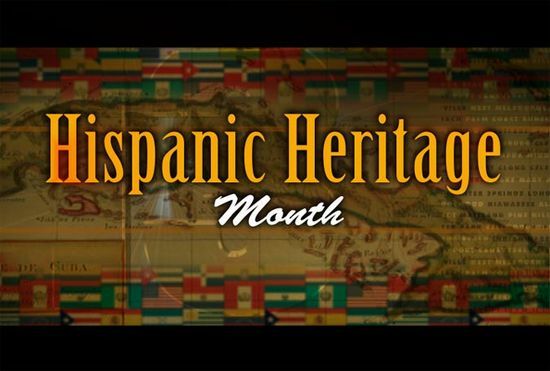 The observance of Hispanic Heritage Month is relegated mainly to school districts, and children of all ages often celebrate the time with events that display the cultural traditions of Hispanic peoples. Traditional clothing and foods are often explored and enjoyed, as well as the music and language of Spanish speaking people. Many classrooms invite local Hispanic restaurant personnel into their classrooms to prepare traditional cooking lessons and ‘taste-feasts’ for children in elementary and middle school levels, and High Schools often celebrate with in-depth lesson plans and scheduled event speakers who come to their schools to discuss everything from traditional clothing to the increasing contributions of Hispanics in American society. The observance of National Hispanic Heritage Month officially begins on September 15th and ends on October 15th of every year. Educational events and issues of education are often in the forefront of current events during this one-month period of time, when bilingual education and services are often the focal point of seminars, conferences and community meetings around the country. School districts around the country typically set aside this period of time to focus on the contributions of Hispanic Americans and those from Latin American countries who have furthered science, art and political causes in America and in their native countries. In cities with large Hispanic populations, millions gather to honor the memories or contributions of Hispanic men and women who have fought for equal rights, equal pay, and for political change within America. States like California, Arizona, New Mexico and Texas, who have large populations of Hispanics, often host sister-city exchange programs that encourage good relations both north and south of the border between high-school age children. City streets are often decorated with piñatas and the smell of tamales, enchiladas and chili often wafts on afternoon breezes. The sound of lively Hispanic music fills the air, as do the sounds of celebration and laughter. Many cities host large, public dances and events that bring many different races and cultures together, which strengthens communities and fosters good relations between all. National Hispanic Heritage Month is an important time for all Americans to remember that this country has a history of and continues to be the greatest ‘melting pot’ in the world. This period is celebrated in every state in America, as the cultures and contributions of the Hispanic community have always been, and will always be, a constant in the fabric of American life.